This article titled "8 Practical Steps to Getting Over Your Impostor Syndrome" showed up on my Facebook feed today (shared by Amy Poehler's Smart Girls, which you should "like" if you're a girl or someone who appreciates smart girls), so I clicked on it. Why? Because I didn't believe impostor syndrome was an actual thing and I wanted to get to the punchline. A dog trying to be a person. But there was no punchline. It's a thing. Impostor syndrome ... is a psychological phenomenon in which people are unable to internalize their accomplishments. Despite external evidence of their competence, those with the syndrome remain convinced that they are frauds and do not deserve the success they have achieved. Proof of success is dismissed as luck, timing, or as a result of deceiving others into thinking they are more intelligent and competent than they believe themselves to be. And though it's not officially in the DSM, psychologists and other sciencey sorts "acknowledge that it is a very real and specific form of intellectual self doubt." A princess trying to be a pirate. Anyway, I'm pretty sure I have it. And not just me. I could name a whole slew of women who feel like (but aren't!) frauds. While the articles on Impostor Syndrome focus on professionals, I have to say that I know plenty of mothers who fit this description. According to the pediatrician, our children are "growing beautifully" on the curve, yet we don't hear this as affirmation that we feed them well, instead focusing on what picky eaters they are and how they run in terror at the sight of a vegetable. According to the strangers we pass at the grocery store, our children are adorable and/or well-bahaved, yet all we focus on is the cream cheese crusted on their upper lip or the tantrum they through 5 minutes ago. "They're not always like this," we reply. And while we blame ourselves for every millisecond of bad behavior, we fail to see our impact on their moments of sweetness and kindness to others. According to the fact that they come over to our house, our friends might actually enjoy coming over to our house, yet we tell ourselves that they are probably judging the smallness of the house, our lack of decorating prowess, the stains on the carpet and the fuzzy spots on our kitchen floor. We never take their presence as a sign of affirmation, but rather a reminder of what is lacking or what still needs to be done. According to friends and family members, we are great moms. Our kids are lucky to have us. But we know (we KNOW!) just how mistaken they are. That if they only heard how often we explode at our kids or saw how much time we spent focused on our smartphones rather than on tending to their needs, they'd finally understand how terrible we actually are at this job. According to our kids, who offer unsolicited hugs, who crave being close to us, who miss us when we're not in earshot or eyesight, who love our macaroni and cheese (even if it's from a box) and who tell us so earnestly and often that they love us, we are more than adequate as mothers. Yet, we still think we're not good enough for them. Somehow not worthy enough. Step two of "8 Practical Steps to Getting Over Your Impostor Syndrome" reads "When you receive positive feedback, embrace it with objectivity and internalize it. By denying it, you are hurting that person's judgement." So each time I second-guess my friends, family, my own children -- roll my eyes at their compliments and offer only obligatory thanks without really believing it, I'm second-guessing their judgement. Devaluing their opinion. And they're smart, competent people. The type of people I emulate. Maybe the type of people I already am. Of course, motherhood isn't the only place I'm often convinced I'm a fraud. A baby trying to be a bunny. My friend Beth* edited the first draft of my manuscript. She offered so much helpful feedback -- commenting on the sections she thought worked really well, highlighting areas of dialogue or scenes that made her laugh or cry, pointed out my overuse of dashes and underuse of commas and offered aha! fixes to awkward transitions and attributions. "Thank you for trusting me with your beautiful story, Sue! I love the parallels you’ve created—that seeing Daniel’s wasted life inspires Eleanor to seize hers, that the life growing in Mo carries her through the life she lost, that everyone has to decide in the end to let go of what is holding them back. It’s a story that sticks with people, one that we can all relate to…"
'buts' before anyone ever gets a chance to add their own buts. We're kinda know-it-alls about buts) But, it wasn't perfect. That's not actually at all what Beth said. What Beth did was offer totally legitimate, constructive and spot-on advice on how to make the story stronger. What my brain did was morph that advice (the advice I'd asked for, by the way) into confirmation that I was a terrible writer. That the whole first part of her note where she was affirming my work, was just the pat on the head you give an incompetent person for their "effort." The latter part of the email, the part I fixated on, reflected her true feelings about my work, which was that I was redundant and had "had problem" (i.e. It would help the narrative to use a more active voice). Now, the former editor in me and the objective Sue knows that all her suggestions are manageable. That she's not calling for a complete overhaul of the story structure, but rather that I do some thoughtful editing to help the narrative move along at a better pace. The neurotic wannabe novelist in me spent the last week avoiding eye contact with my manuscript. And actually feeling embarrassed, mortified even that I'd shared it with anyone. I considered telling another friend to just stop reading it altogether so that he wasn't wasting his time. Who am I kidding, right? I'm not a writer. 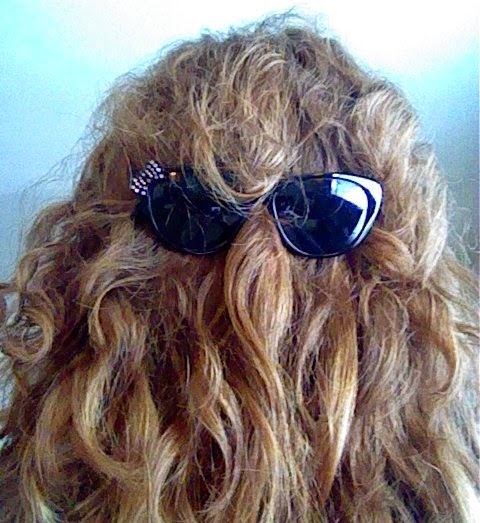 A fake writer trying to be Cousin It. Again, objective Sue understands this sounds extreme. And believe me, I'm not sharing this to beg for anyone's praise or reassurance. By now, it should be clear that I probably wouldn't believe anything you had to say, anyway. I'll work on that. I'm sharing because my site's called "My Inside Voices" and my inside voices seemed an appropriate topic -- especially since my gut tells me that so many of us experience these same feelings. The feelings we suffer in silence are the ones we should talk about. So here we are. When I read my short story back in August, one of the other winners approached me at the end of the event and told me about an open-mic he was hosting in Lancaster for fiction writers. He suggested I come and read something. In that moment … despite the fact that I've been writing stories for as long as I can remember … I felt like I was finally part of the tribe. For a minute. Just like on those days when my girls eat their dinners, clean up their toys and go to bed without extra shenanigans, I feel like I'm doing alright as a mom. So, you can guess how often that is. "So I know you and Eleanor* are taking a break, but I can't stop thinking of your story and I really, really want you to promise not to give up on it." 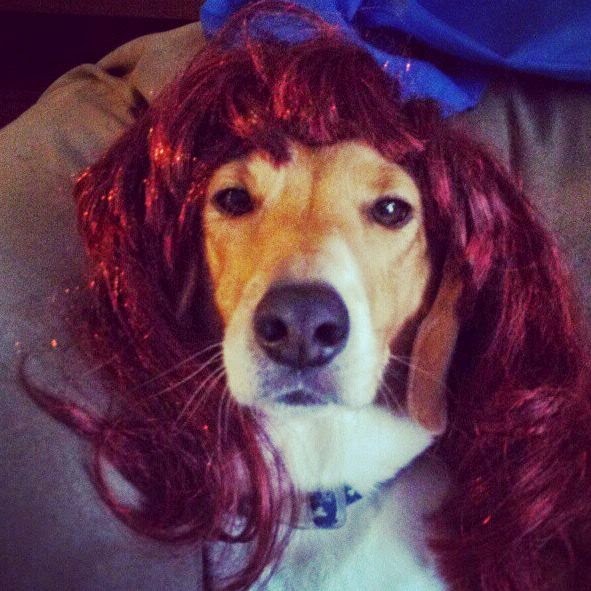 Some people make it really hard to be an impostor. * Amazon.com just told me my copy of Beth's first book "Pack of Dorks" shipped today! If you have any 8 to 12 year olds or appreciate great writing regardless of genre, you should check it out. ** Eleanor is the protagonist in my story. I should probably let Beth know we got back together. I started working on those big-picture revisions last night.